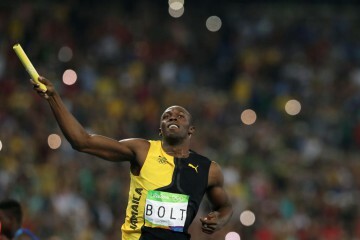 Here’s an interesting article from the Rolling Stone by Morgan Jerkins about Usain Bolt and what he means to Jamaica. Though I don’t agree with it all, it’s worth a read. When Usain Bolt smashed the 100-meter World Record in Berlin of August 2009, it was both expected and unexpected. In Beijing of August 2008, Bolt ran the 100-meter in 9.69 and beat the rest of his competitors by a mile. 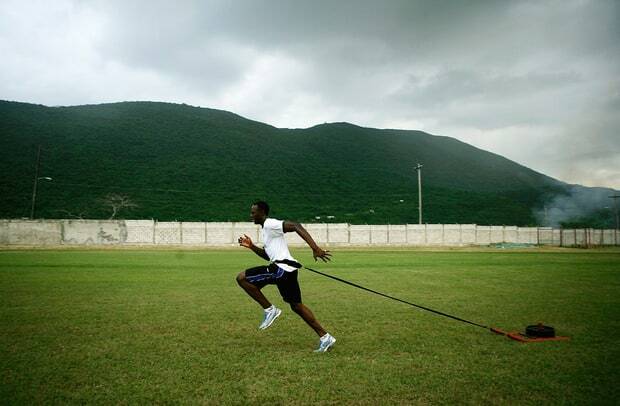 In August 2009, he ran it in 9.58, which led to him becoming the fastest man in the world. 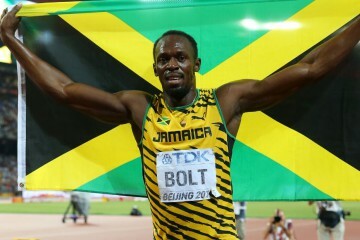 Wearing the green, yellow, and black of his country’s flag, Bolt raced around the track with his arms outstretched as if his record time wasn’t enough evidence that he could take flight. What made his achieving more astounding was that Bolt stands at 6’5, meaning that he had to exert more energy to lift off and combat wind resistance once the starting gun discharged. His biggest competitor at that time was Tyson Gay, a black American who stands at 5’10 and broke the national record at 9.71 at the same race. The showcase of black excellence is further strengthened due to these accomplishments taking place in the same stadium where Jesse Owens won four gold medals during the 1936 Olympics. It was a historic moment for black people across the diaspora”.